After the huge success of Samsung Galaxy S9 with great Camera and design. 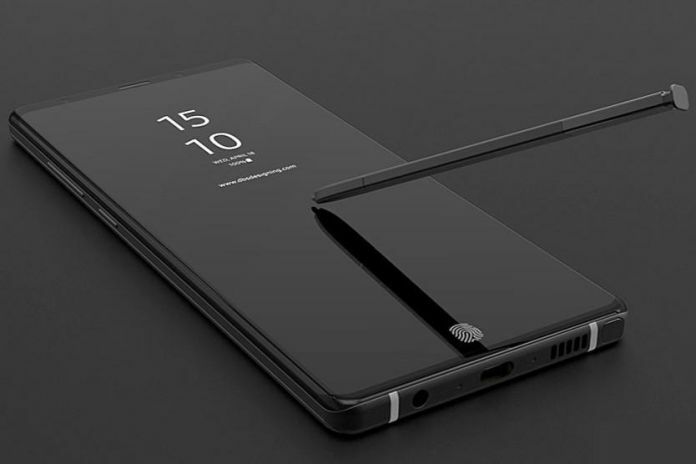 Now Samsung is evolving its upcoming Gadgets and their performance to the next level in the mobile arena with its upcoming powerful beast that is a Samsung Galaxy Note 9 smartphone. According to recent resource Samsung is preparing for the official launch of the company’s ‘Unpacked’ event in New York on August 9. If we talk about the configuration literally its will blow your mind the last week lots of rumors are spreading the mass production of the 2nd generation LPDDR4X DRAM ( Dynamic Random Access Memory) which is most likely to put the phone in beast mode. The Phone is expected to come with Qualcomm Snapdragon 845 processor and interfuse with 8GB of RAM and as well as a 128, 256 GB and 512 GB storage Option. According to the source, the S-PEN will reportedly get Bluetooth support, a huge improvement in functionality as compared to the previous one. Samsung Galaxy Note 9 will run on Googles Android 8.1 Oreo. The device will feature a dual 12MP+12MP rear camera setup with a variable aperture that we saw on the Galaxy S9 and S9+ smartphones as well. On the front, Galaxy Note 9 will come with an 8-megapixel camera sensor for selfies. Even though the Galaxy Note 9 will be announced globally on August 9, it could take a few days to find its way to Indian shores. Much like the Note 8 which was announced in India over 15 days after its global launch, the Galaxy Note 9 too may only make its way to the country in late August or early September. As for the price, a leak from Indonesia suggests the Galaxy Note 9 will be offered in two storage variants – 128GB and 512GB. While the former is expected to come bearing a price tag of approx Rs 64,400, the top-end model could cost as much as approx Rs 83,500 in India. To recall, the Samsung Galaxy Note 8 was launched in India last year in 64GB storage option with a price of Rs. 67,900.